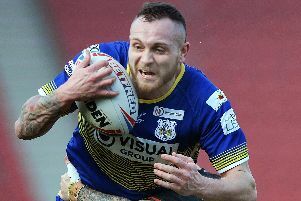 Doncaster RLFC retained their League One promotion play-off spot on points difference when beating lowly London Skolars 38-6 at the Keepmoat Stadium. But head coach Richard Horne admitted that his charges would have to play better to retain their top-five spot in the run-in. “It was a scrappy game and a bit untidy,” he said. “There were a lot of stoppages which meant that we couldn’t generate any momentum at times. “We spoke about starting well, starting strong and fast, and we did that but we didn’t maintain it. “They weren’t in the game for the first 15 minutes or so when we run in three tries and led 16-0 but we kept on giving making mistakes and giving them a bit of a leg-up and opportunities to stay in the game. “We just needed to complete our sets and play for field position a little bit better (and we would have scored more points) but we didn’t quite do that. “We never looked like losing the game but we certainly could have made life easier for ourselves. Although the performance of his charges fell way below that which had seen off promotion rivals Hunslet and Oldham in recent weeks, Horne took time out to praise the efforts of third-bottom Skolars. Horne will be checking on several players who picked up knocks at Tuesday night’s training session including top try-scorer Jason Tali who turned his ankle.